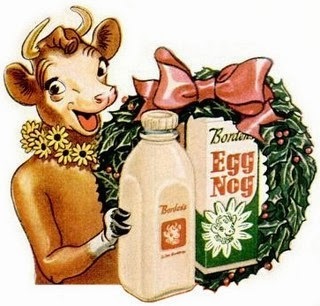 Borden Milk... Elsie and her Egg Nog. No eggnog for me, thank you. Pass the Beam and Pepsi. I was never a fan of Egg Nog... until a couple years ago. I was handed, what I thought was a white Russian at a party.